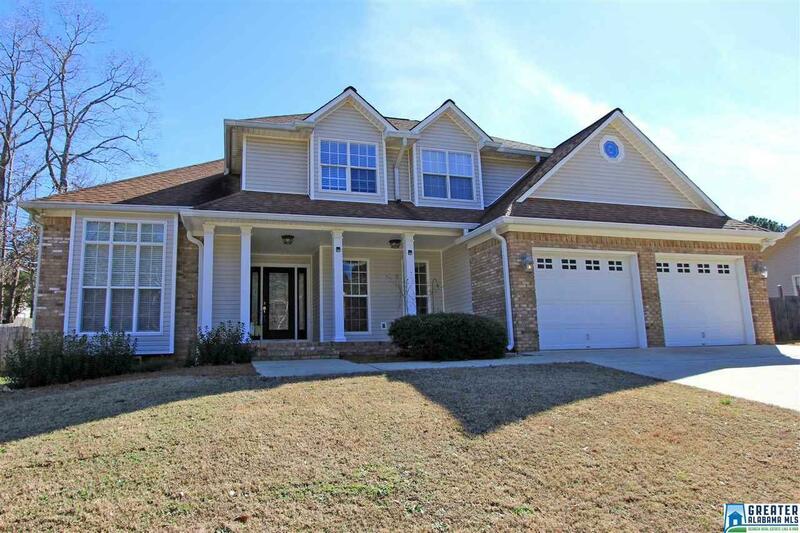 Attractive 4 bedroom, 2.5 bath home with finished bonus room in a very desirable Oxford neighborhood. BRAND NEW CARPET!!! Super convenient location near the interstate & close to the Oxford Exchange! Cozy front porch and privacy fenced back yard. Step into the foyer onto pretty marble tiled floors. Formal Dining Room features gleaming hardwood floors, chair rail, crown molding, and floor to ceiling windows to let the light inside. Fantastic Family Room with large floor to ceiling windows for anyone who likes a light-filled home, marble fireplace, and unique arched window opens to the Breakfast Area and Kitchen with tiled floors, great built-in pantry, lots of windows, and recessed lights. Master on the main level includes a dual vanity, large garden tub, separate shower, and walk-in closet. There are 3 bedrooms up with an updated hall bathroom and large bonus room. Central HVAC units less than 5 years, roof less than 10. This is a must see â call today!